Foiled stickers. For so long I avoided them. I decided I didn’t like them. Then I received some in a grab bag and finally knew what the fuss was all about. On a little sticker spending spree at the end of last year, I picked up some more. 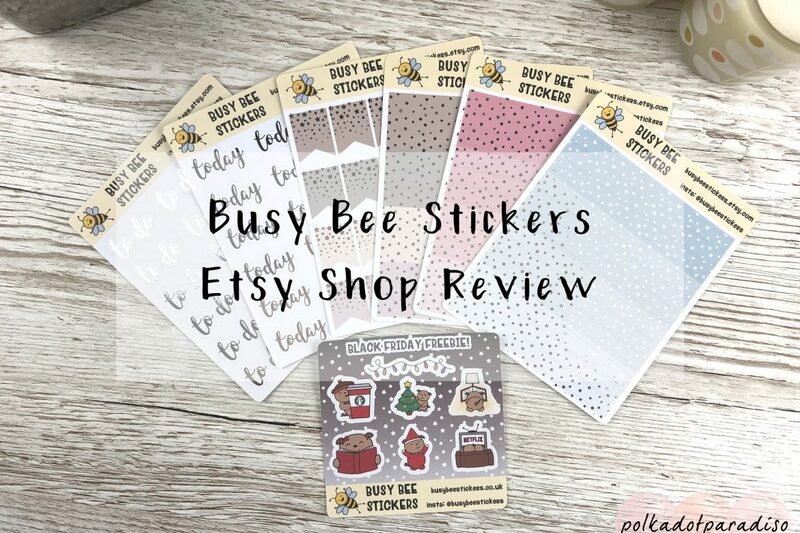 This time from Busy Bee Stickers. How cute are these? I’m more of a silver person, so these are all silver foiled. I purchased words (as I love a good header), flags and washi style strips. Each sheet is £2.50 each and comes in a wide array of foil colours (including rainbow!). The sticker paper used is a paper material so it’s quite thin and won’t bulk up your planner too much. The stickers looked quite large and so I only purchased one sheet of the flags just to double check how they looked in my planner. While they won’t work in my Hobonichi Weeks, they look great in my Cousin. I’d been really enjoying using little washi strips to break up my days in my Cousin, so I picked up a few sheets of these. They need cutting down to fit the Cousin but I just chop down the sheet as a whole and create a new sheet of perfectly sized strips. This week felt so very long. It was a busy one at work and I’m still convinced I’m fighting off a cold. I did manage to get a PB 5k this week though! I went for a foil themed week as I was itching to use this new washi – it’s listed in the shop now! I’m really impressed with the quality of these stickers. I know foiling is hard to do and yet all of my sheets were perfect. At £2.50 a sheet they’re really reasonably priced and I know I’ll be stocking up on more soon! There’s also a lot more to this shop than foiling, with a heap of cute character stickers (some of which you can see in the freebie sampler sheet). I might pick up a few of those next time, too.